The CJEU found that the Commission had not acted improperly in adopting these double roles because of the particular factual setting of the case. After an investigation, the Commission found that several major European manufacturers of the elevators and escalators had formed a hard-core cartel that was active in several EU countries (thus infringing Article 101 TFEU). As a result, the Commission issued a decision imposing fines of over 990 million Euros on the companies—currently the third highest total fine imposed by the Commission in a cartel case. The companies subsequently brought an action for annulment of this decision before the General Court and then an appeal before the Court of Justice. Both were dismissed. At first glance, therefore, this was a straightforward competition issue. 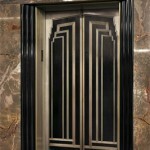 However, there was a twist in the facts of the case, which made it unusual: several EU institutions were themselves the clients of the members of the elevators and escalators cartel. In fact, Otis and others had contracts for installation and maintenance of equipment in different Parliament, Commission and Council buildings in Brussels and Luxembourg. The EU, represented by the Commission, concluded that due to the cartel’s practices it had paid above market prices for services delivered. As a result, it brought a private action for damages before the Belgian court. In response, the defendants argued that the fact that Commission, which had previously imposed the fine in the antitrust proceedings, also represents the EU in such civil proceedings infringed the principle of effective judicial protection. Especially because under Regulation 1/2003 (Article 16) the Commission’s decisions in the public enforcement phase of antitrust proceedings are binding on national courts. The CJEU separately analyzed three different elements of the principle of effective judicial protection: right of access to a tribunal and principles of nemo iudex in sua causa (no one can be a judge in his own cause) and equality of arms. The CJEU considered that for the ‘tribunal’ to be a body properly so called under Article 47 CFREU, it “must have power to consider all the questions of fact and law that are relevant to the case before it” (paragraph 49). Does the fact that the national court was bound by the Commission’s decision establishing the anticompetitive practice constitute an infringement of the right to access to a tribunal? Not according to the CJEU. Rather, it was the result of a specific division of powers between the national courts and the Commission. When the Commission issues a decision against a given party, such party has at its disposal the complete system of judicial review provided by EU law, which includes the action for annulment at the General Court and the appeal to the CJEU. Thus, the review of legality of the Commission’s decision is within the exclusive jurisdiction of the EU Courts. Indeed, Otis and other companies used this system of judicial review to bring actions against the decision, twice. The CJEU considered that while the national court is bound by the Commission’s decision as to the existence of an anticompetitive practice, finding such anticompetitive practice is only one element of a private action for damages. There are two other elements that need to be separately determined by the national court: the existence of a loss suffered by the plaintiff and the direct causal link between the loss and the anticompetitive practice (paragraph 65). The national court therefore has its own sphere of discretion when examining the action against the defendant, and the Commission cannot be considered as the judge and the party in its own cause. “a corollary of the very concept of a fair hearing, [which] implies that each party must be afforded a reasonable opportunity to present his case, including his evidence, under conditions that do not place him at a substantial disadvantage vis-à-vis his opponent” (paragraph 71). Because of the Commission’s double role as enforcer of competition law and private complainant, one might have a justified concern that it collected information–including confidential business information–that would not normally be accessible to any other plaintiff in such a case. One might even question whether the Commission conducted the investigation into an infringement with the aim of subsequently claiming compensation, which was actually argued by Otis and other companies (paragraph 74). The CJEU refused this argument for two reasons. First, burden of proof in demonstrating the harm that may be caused where there is no equality of arms falls on the person who has suffered it. And according to the Court, the defendants failed to prove any such inequality. According to the CJEU, the documents in the case indicated that the Commission had not disclosed any confidential information to the Belgian court. Second, according to the CJEU, “EU law contains a sufficient number of safeguards to ensure that the principle of equality of arms is observed” (paragraph 75). It gives several examples of such safeguards found in the EU law: Article 339 TFEU, Article 28 of the Regulation 1/2003, and point 26 of the Commission notice on the cooperation between the Commission and the courts of the EU Member States in the application of Articles 101 and 102 TFEU. Consequently the Court did not find any reasons precluding the Commission form bringing an action before a national court, on behalf of the EU, demanding compensation for losses caused by an infringement where the same Commission had earlier found such infringement. This judgment might seem debatable to a few. Although the legal analysis of the Court and the Advocate General, whose opinion CJEU confirmed, is thorough and convincing regarding the right of access to a tribunal, it is more superficial in the case of other two elements, particularly with respect to the principle of equality of arms. I personally think that it is not enough to say that EU law offers sufficient safeguards and that it is for the defendant to prove the inequality. The argument would be more convincing if the CJEU analyzed whether, in this particular case, the safeguards contained in EU law were enough to protect the equality of arms. As seen in the Pfleiderer case, the private enforcement of the competition law might raise questions on the scope of the protection of confidential information gathered within public enforcement proceedings. However, the case leaves me with the uneasy feeling that where the Commission stands behind both the public and private phases of competition law enforcement, the process is marred by a certain lack of transparency. My ” uneasy feeling” does not come from the fact that Commission’s reasons might not have been transparent, which, agreed, they do not need to be. It comes form that fact that I remain unconvinced whether the arms were truly equal in the Commission’s follow up action. Now we all know there are some fancy escalators and elevators in the Commission’s buildings. I wonder, however, if they do have effective “Chinese walls” as well, to ensure the transparent procedure in such exceptional situations as in the Otis case.